Over the next century, warming global temperatures will present many challenges for the National Park Service (NPS) and public land managers. Rising sea level will be one of the most obvious and most challenging impacts of this warming. Even a minor increase in sea level will have significant effects on coastal hazards, natural resources and assets within national parks. To begin addressing these issues, the Program for the Study of Developed Shorelines (PSDS) at Western Carolina University (WCU) has partnered with NPS to begin an assessment of the level of exposure that park owned assets will face during a period of rising sea level. Assets were characterized based on their overall ex posure to long-term (1 m) sea-level rise and associated storm vulnerability. Therefore, each asset was placed into one of two categories based on exposure or risk: 1) high exposure or 2) limited exposure. Results from this group of coastal parks yielded over 39% of the assets designated as high exposure, with a cumulative value of over $40 billion. 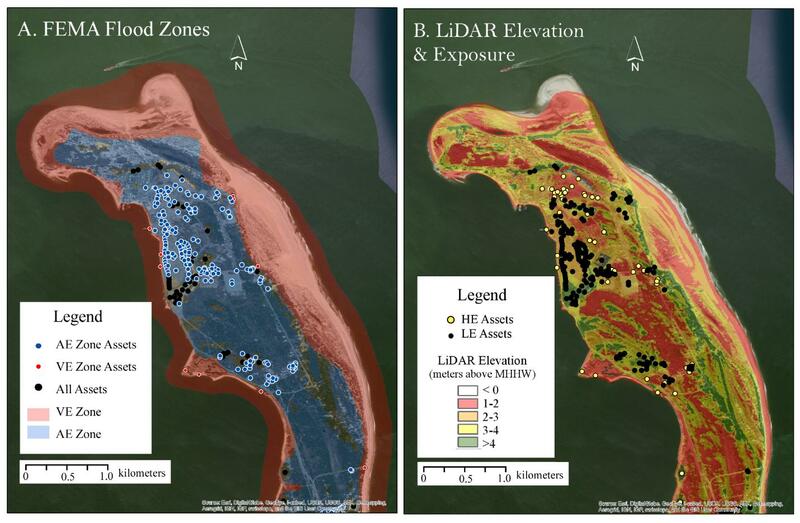 The majority of the high risk assets were from the SER low-lying barrier island parks; however, the NER also had over one-third of its assets designated as high exposure, many of which are historically and culturally significant to NPS. 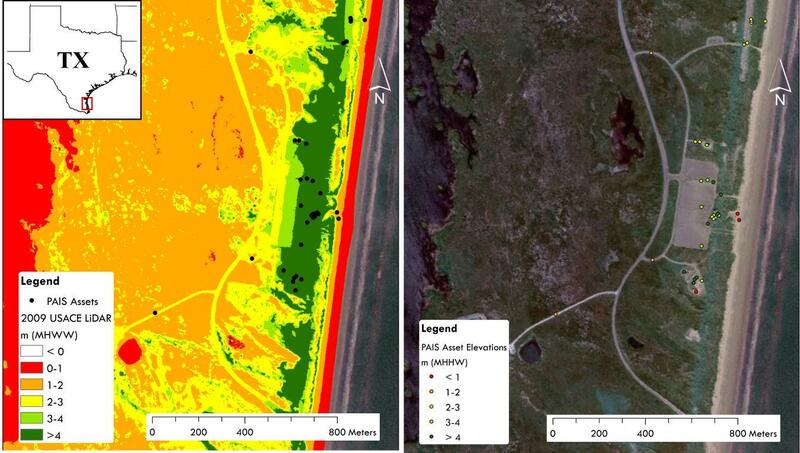 These results show that a significant portion of the assets within coastal national parks are at risk to impacts from future SLR. In fact, many of these assets are already at an extremely high risk to storm impacts, which was made evident during Hurricane Sandy. A quick reassessment of the methodology contained within this report following Hurricane Sandy suggests that we have been conservative in labeling an asset as high exposure. In other words, the assets identified in this study as being vulnerable are most certainly vulnerable, and the total is likely to be an underestimate. Contact Katie Peek or Rob Young for more information.